If the thought of wearing dentures fills your mind with visions of limited food choices and embarrassing moments, consider this. Today’s dentures provide durability, reliability, and comfort. The light-reflecting materials used in the dentures that restorative and cosmetic dentist Dr. Ratliff recommends look more natural than ever. For the ultimate in reliability, request implant-supported dentures. Small titanium screws, placed at intervals in the jawbone during a simple oral surgery procedure, provide the same stability as your natural tooth roots. Dr. Ratliff will fit your dentures over the implants, eliminating the need for foul-tasting denture adhesive and messy daily care routines. No more worries about slippage, either. 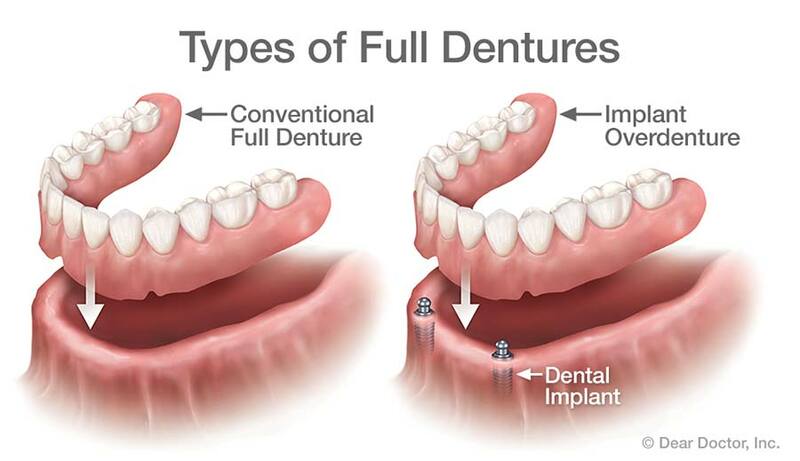 You can read more about dentures here. If you’re ready to say goodbye to embarrassing, ill-fitting dentures, call Dr. Ratliff at our Clover Road office in Noblesville. Our convenient location also serves patients from throughout the area, including Geist, Fishers, Westfield, and Carmel.